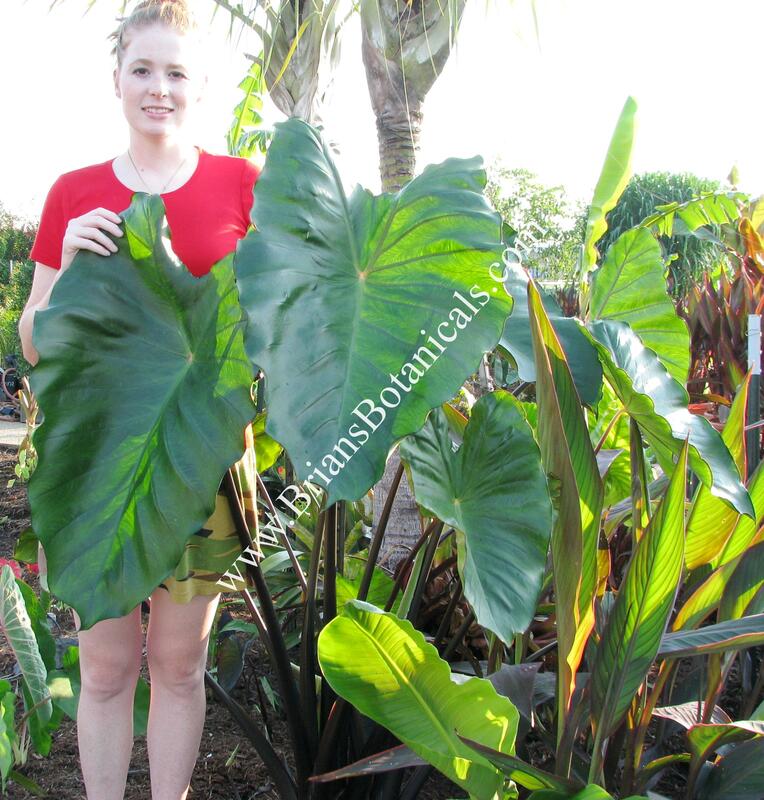 Colocasia fontanesii (Black Stem) is a fast easy growing elephant ear with large dark green glossy leaves. The leaves can be up to two feet long and wide. One of the main attractions to the plant are the dark black petioles holding up the leaves. Plants can grow up to 8 feet tall and are known for producing runners on top of the ground. Plants sold in 4 inch pots.